Before coming to Ruffalo Noel Levitz, Mr. Butterfield served as director of admission for Cornell College (IA). His primary responsibilities included supervising the admissions staff and assisting with the development, creation and execution of the overall recruitment plan. During his tenure at Cornell the admissions staff stopped a three-year decline in entering student enrollment. Further accomplishments included creating the college’s first comprehensive recruitment plan and revamping the scholarship program to provide greater access to the college for students and their families. 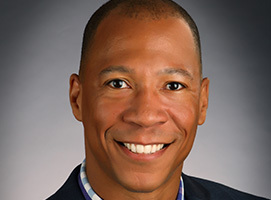 His 15 years of on-campus higher education experience was spent in enrollment management at Cornell College (IA) and in college advancement at both Cornell College (IA) and the University of Iowa Foundation. Mr. Butterfield is a graduate of Cornell College and holds a master’s degree from the University of Iowa. He is currently enrolled in a doctoral program in Higher Education and Student Affairs at the University of Iowa.